Making your move to Florida is not only about being a warmer climate; it is enjoying the Florida lifestyle. Having a pool home to take a dip in is just as integrated into the Sarasota day to day routine is just as common place as an afternoon at one of the several beaches like Siesta Key, the numerous choices for golf or tennis, endless boating opportunities in the Gulf of Mexico and Sarasota Bay and the endless entertainment selection. Pools can quite a bit of use year-round and are as diverse as the grains of sand on the powder white beaches. There are smaller, ‘cocktail’ pools with very little maintenance and expense. Pools can come with waterfalls and hot-tubs. Infinity edge pools are often built on Sarasota waterfront homes to take advantage of the water view from the property. These types of pool give the illusion of endless water extending from the pool to someplace like the bay. We make it easy to find these homes and they are generally plentiful relative to the market. To get started, simply click on the area located on the map for a list of all pool homes in that specific area. Our listings are provided by the MLS and updated in almost real-time so there is little chance of missing that perfect home. 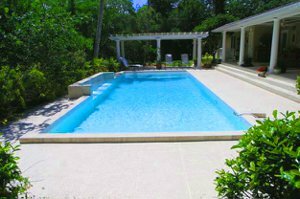 It is also easy to refine the search and further quality the search for pool homes in Sarasota by price range and other amenities. 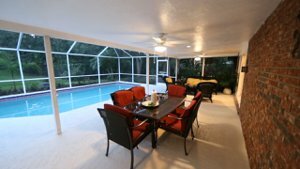 If you prefer, we have put together Sarasota pool homes for sale for the entire Sarasota area based around price range. Again, property searches can be refined anytime to suite your needs. Typical pools become the center of the home. Home designs take as much advantage of a view from the pool in as many locations in the home as possible. The ability to open the home on several fronts around the lanai and pool area offer a living experience that is truly unique to Florida. It is a great casual center pierce to the afternoon cookout or just sitting by the pool with your favorite libation. When it comes to finding a new home in Sarasota or an existing Sarasota pool home, we have your back. We know the area and have the skills to get you a home you will be happy with for years. From locating the right home, negotiating your contract, right up to and beyond the closing, your needs are our top priority. Experience makes a difference. We have been helping buyers and sellers successfully for decades. We are always eager to help and qualified to be your best transactional advocate. Give us a call. You will be glad you did! Country Club Of Sarasota The SubDv. Forest At The Hi Hat Ranch SubDv. Preserve At Misty Creek SubDv.